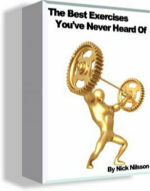 Why is Barbell Shrug Exercise so effective? Although trapezius lies in the shoulder area, it is a neck muscle. And therefore it required a different exercise called barbell or dumbbell shrug for its development. Along with Upright Rows, Shrugs help build massive traps. Heavy Shrugs and Upright Rows to build trapezius, shoulders and define them. Shrugs can be done with extremely heavy weights making your traps look huge and create a full neck. 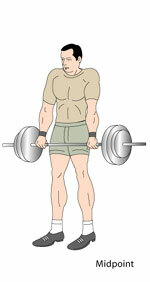 This exercise is using dumbbells or a barbell. Dumbbell Shrugs will give better range of motion. 1. 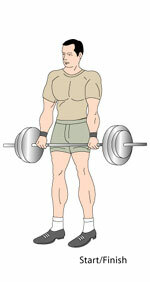 Stand upright with a dumbbell in each hand. Let hands be on sides. 2. Raise your shoulders without bending elbows as far as possible getting them closer tp ears. 3. Release and return to start position. move only shoulders and keep rest of body steady. Done along with Heavy Upright Rows , shrugs will help build a thicker and stronger neck.